Meet the Talented Jets & Sharks! 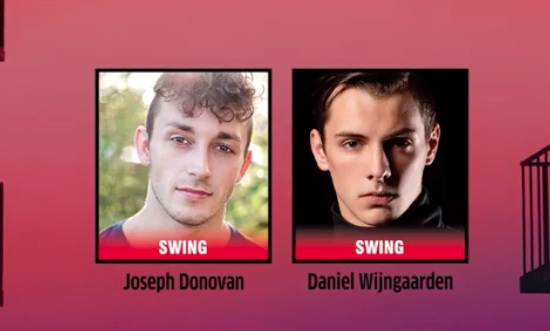 The producers have announced the full cast for their upcoming Australian production of WEST SIDE STORY. The all Australian cast of 33 features a dynamic mix of established performers alongside some of Australia’s most exciting emerging talent in this celebrated production. The production will feature Ritchie Singer as Doc, Paul Dawber as Lt. Schrank, Dean Vince as Officer Krupke and Paul Hanlon as Glad Hand. As ‘The Jets’ the ensemble will include Joshua Taylor, Nicholas Collins, Christian Ambesi, Nathan Pavey, Blake Tuke, Sebastien Golenko, Molly Bugeja, Joseph Donovan with Natasha O’Hehir, Angelica Di Clemente, Taylah Small and Sarah Dimas. 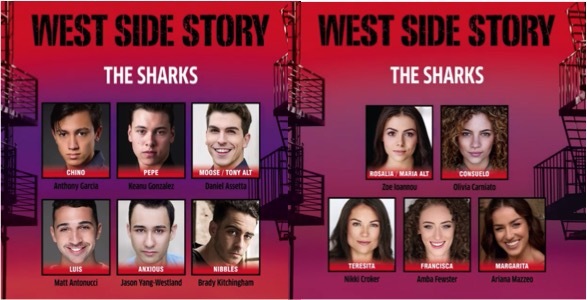 Completing the cast as ‘The Sharks’ will be Anthony Garcia, Keanu Gonzalez, Daniel Assetta, Matt Antonucci, Jason Yang-Westland, Brady Kitchingham, Daniel Wijngaarden with Zoe Ioannou, Olivia Carniato, Nikki Croker, Amba Fewster and Ariana Mazzeo. They join the previously announced Todd Jacobsson as Tony, Sophie Salvesani as Maria, Chloe Zuel as Anita, Noah Mullins as Riff, and Lyndon Watts as Bernardo. A modern retelling of Romeo and Juliet, WEST SIDE STORY is set in a New York City enveloped by bitter tension between two teenage gangs: the Jets, self-styled “Americans” [led by Riff], and the Sharks, a group of young Puerto Ricans [led by Bernardo] and remains as important and relevant today as it was when it was first created. When the original Broadway production of WEST SIDE STORY opened in 1957, musical theatre changed forever. The genius of its four creators, a remarkable collaboration between composer Leonard Bernstein, author Arthur Laurents, lyricist Stephen Sondheim and choreographer Jerome Robbins, produced a timeless masterpiece whose thrilling unity of music, dance, book and lyrics has been rarely matched since. McKneely’s vibrant staging of WEST SIDE STORY has received world-wide acclaim since its premiere at London’s Sadler’s Wells. McKneely is a two-time Tony Award-nominated choreographer whose Broadway credits include Smokey Joe’s Café, The Life, Twelfth Night, The Wild Party and The Boy From Oz. 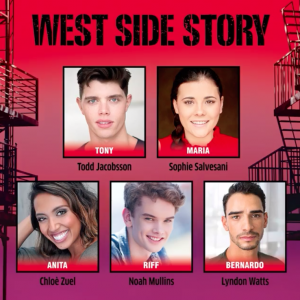 WEST SIDE STORY will play a strictly limited season at the Arts Centre Melbourne in April 2019, and Sydney Opera House from August 2019. It is produced by Opera Australia, GWB Entertainment and BB Group.